Grammar rules – although the term may evoke memories of endless memorization of dry rules with no apparent use, grammar can actually be a fascinating subject. English grammar rules are actually very useful if not vital for English usage and English writing, if one wants to get messages across confidently and effectively. The rules of grammar tell us how we should form words and sentences in a way that is accepted as "grammatical" or correct, as the rules reflect the inherent structure of a language. Some linguists also include orthography (spelling, capitalization, and punctuation), semantics (word meaning) and pragmatics (language use in context) under a wider definition of grammar. Grammar rules help us for many communicative purposes. For example, to talk about our past job experience at a job interview, we apply the rules for the present perfect tense. The rules for forming conditional sentences help us to express contrary to fact wishes, assumptions or regrets about missed opportunities, whereas the present simple tense is used to talk about hard facts and regular habits. In English writing, adjective clauses and verbal clauses help us add more information and enrich our sentences, while the rules governing conjunctions and transitional adverbs are vital when we want our text to appear coherent with logically related parts. Knowing basic grammar terms such as verb, noun, adjective, adverb, phrase and clause is important in order to be able to analyze and improve your language performance, whether in your native language or even more so in a new language you are learning. Even though English grammar rules are considered simpler than those of French, German, Russian, Hindi or Arabic, many questions about the correctness and clarity of your sentences should arise while writing. 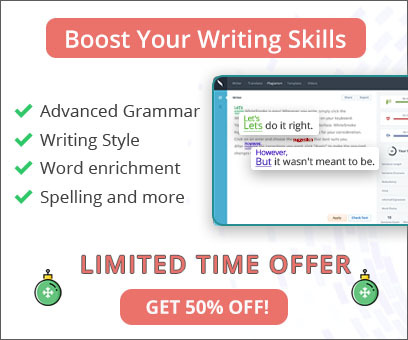 In addition, as writing is a process demanding a considerable mental effort, most writers tend to inadvertently misuse the grammar rules and make mistakes, some of which have been found to be of common practice. 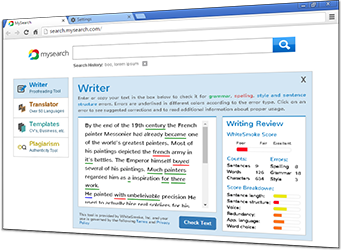 As a leading English writing and grammar software, WhiteSmoke functions as your personal online editor, which corrects your grammar and does much more to help you improve your writing. The attentive writer, however experienced, should always look for potential problem areas when applying the grammar rules of verb tenses (e.g. did vs. have done), subject-verb agreement (e.g. The results show vs. The result show), pronoun usage (e.g. he, his, him, himself), word order (e.g. subject-verb-object), sentence fragments and run-ons, sentence variety and the use of determiners (e.g. a, the, this, my), prepositions (e.g. in, on, at, during), gerunds and many more. Should isn't or doesn't be used? When is an s with apostrophe really necessary? All these are issues which good writing has to address in order to appear professional, confident and persuasive. Only Today: 75% OFF - Click Here To Get it Now!